Growth continues to define U.S. craft beer. While sales have slowed from the meteoric rise between 2012-13 (almost +20%) to a more reasonable +6% in 2016, other key aspects have increased without end in sight. American breweries surpassed 6,000 in number towards the end of 2017 — an all-time high. And craft beer’s market share of the overall beer category continues to expand, after topping 10% for the first time in 2016. “The market is driven by products that people can drink more than one of,” says Brent Ryan, president and co-founder of Newport Storm Brewery in Newport, RI. Ask a brewer or anyone heavily involved with the industry what they’re drinking and it’s unlike they’ll answer IPA. Among those who work every day in craft beer there is a noticeable fatigue for this popular style. For the general consumer, however, it’s a different story. IPAs are by far the preferred style among the crafty category’s customer base, and will again pay bills for brewers across the country in 2018. And there’s another reason behind the current success of IPAs: they’ve become more drinkable. Instead of demolishing palates, new IPAs are based on flavors over bitterness, and allow people to enjoy multiples in one sitting. That makes all the difference. “The market is driven by products that people can drink more than one of,” says Ryan. Every brewer knows they must make IPAs to compete. Especially newer breweries that have to catch on quick to survive. Stick an IPA in a can with a catchy name and cool artwork and you might just have a chance. But too often now, these IPAs are low in quality. In the rush to generate sales, some brewers release product that’s unready for market. 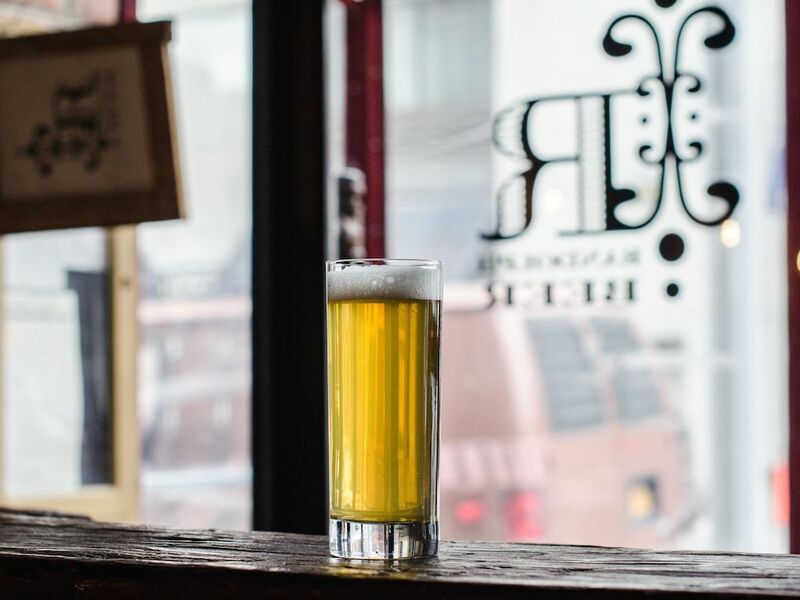 “I’ve purchased cans before that after opening the first one, I realized they needed a few more days to settle in and let the flavors come together,” says Kyle Kensrue, director of operations for Randolph Beer in NY, NY. In an ever-crowded marketplace, it’s become a bigger problem. “There’s too many IPAs out there now that aren’t up to standard,” says Chris Ciskey, owner of Yankee Wine & Spirits in Newtown, CT. But does this threaten the broader industry the way that subpar product helped pop the craft beer bubble in the late ‘90s? Too often now, IPAs are low in quality. In the rush to generate sales, some brewers release product that’s unready for market. What began with John Kimmich of Alchemist Brewery messing around with hazy IPAs has blossomed into a national phenomenon. “There’s breweries in San Diego, Oregon and Colorado making the NEIPA style,” says Kensrue. Consumers cannot get enough. Some of these low-bitter, hazy/opaque, juicy IPAs have become ‘white whales’, chased down by enthusiasts willing to pay top dollar. Even middle-of-the-road NEIPAs fly off the shelves. But are consumers buying the real deal? In other words: hazy color does not equal New England IPA. Try telling that to some consumers. With profits rolling in, the definition of NEIPA will likely stay hazy. Once upon a time the best beers came in large-format containers. Bombers and growlers where how craft drinkers bought their premium brews. While the larger format will likely never disappear, its time at the top has come to an end. Enter the 4-pack of 16-oz cans. Where expensive bombers now sit on shelves and collect dust, $14-$17 4-packs fly out of stores. Part of the problem is that 22 ounces in a bomber is a lot of booze. Especially when that beer is high-gravity, as are many in large-formats. But sales are not as consistent among bombers anymore. Consumers, especially those who cellar and age beers, increasingly see bombers as something you buy and keep around to open for special occasions. In comparison, the 4-pack allows consumers to drink double IPAs or darker beers 16 ounces at a time — an amount easily shareable between two people. The format has been so successful that even lighter beers — lagers, sours, porters, session IPAs — now hit shelves in premium-priced 4-packs. The advent of mobile canning lines, plus eye-catching artwork on labels, has also helped accelerate the rise of 4-packs. What you don’t see as frequently in 4-packs is dark or barrel-aged beers. While some stouts and porters have made their ways into 16-oz. cans, this format trends heavily towards IPAs. Barrel-aged beers in particular have suffered from this packing movement. Ryan points to tap lines at bars and restaurants as contributing factors. 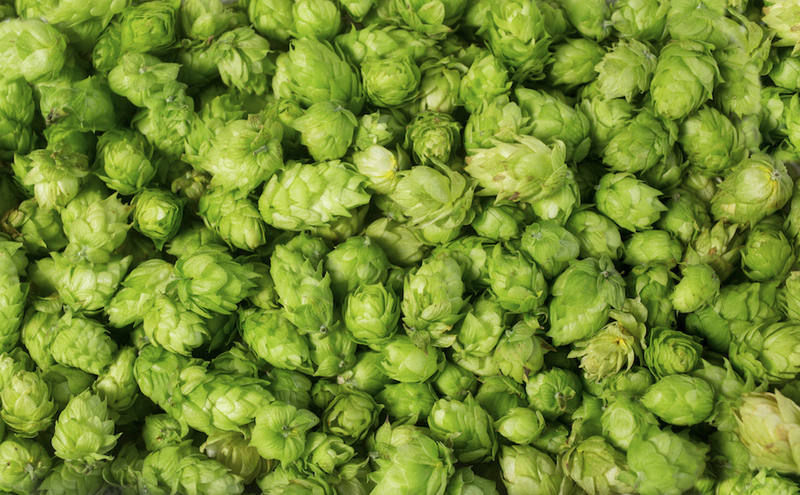 There’s a reason most taps pour trendy, easy-drinking IPAs, rather than heavier brews. One style sells better. Still, darker and barrel-aged beers — and their typical bomber format — are unlikely to disappear. Rather, while sales may shrink, these brews should stabilize around a niche following. For that reason, some breweries will dismiss fears about unsold bombers and continue to release large-format, darker, barrel-aged beers. Prices will remain $15-$25 or more, which reflects their niche as luxury, celebratory items. A new development for these brews in 2018 will be more coming out in smaller, 375-ml. bottles. Premium sours like Allagash and Almanac have already found success in this format, so it makes sense for premium dark beers to try this packaging as well. For anyone who needs a break from IPAs, this new year will likely bring more craft lagers. There’s another reason lagers appeal to brewers. It’s a craft style that macro-beer drinkers can understand. Budweiser is a lager and so too is this helles: want to try? In other words, craft lagers might give newer consumers the wrong idea that craft beer is only marginally better than mainstream brews. Whether lagers unintentionally cheapen the reputation of craft beer remains to be seen. True story: Two years ago I watched a customer walk into a store with superb craft selection and ask if they had Heady Topper. After the owner answered, “No,” the customer turned around and left. Would that happen today? Doubtful. Selection has grown so varied and so high in quality that consumers can easily find comparable products to famed “white whale” beers. For instance: when a customer at Yankee Wine & Spirits requests a hard-to-find (and out-of-stock) New England IPA, Ciskey points them towards Ransack the Universe, an American IPA from Collective Arts of Ontario, Canada. When you can get top-quality beer so easily, why waste time hunting white whales? Though Brent of Newport Storm foresees white whales retaining an important function. He recalls some years ago, during another stretch of fervor over Founders Kentucky Bourbon Stout. Everybody wanted to find KBS, but Founders was struggling financially. How come? White whales generate hype — but not the sales volume to pay bills. What saved Founders was not KBS. The brewery survived thanks to All Day IPA, which grew into one of the top selling craft beers nationwide. That’s an important lesson for brewers. “KBS gave Founders the national cache, and then they came out with something that they could sell much more of,” Brent explains. So while hype over white whales might ebb, breweries will continue positioning some products as buzz-worthy to generate a broader audience for more-macro releases. And for some white whales, a permanent base of devoted drinkers always awaits the next release. “Barrel-aged rarities are special and dear to craft drinkers, and the rarest ones will still get lines out the door,” says Hale. Nearly every town in America now seems to boast a local brewery — if not several. Will this rapidly increasing number of producers push the industry towards a bubble? It may depend on what business model these new places pursue. The question is whether breweries want to distribute — or focus on selling beers onsite. What put a dent in the independent bakery industry, however, was when corporate chains like super markets began making comparable bread for cheaper prices. If patrons of local breweries come to prefer national brands to local products, then microbreweries might start failing. 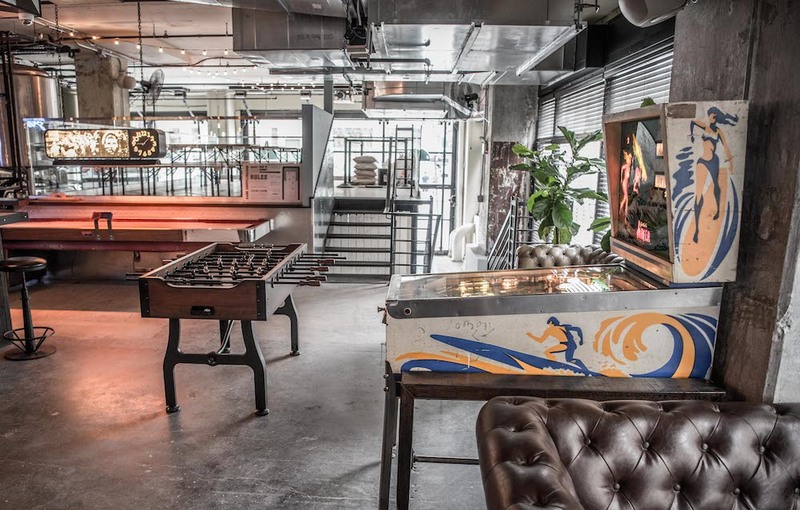 Breweries like Randolph Beer DUMBO become gathering halls for locals. And by selling alcohol products onsite, microbreweries are not that different from retailer and bars. In many ways, the industry already struggles with too many beers and not enough retail or tap space. 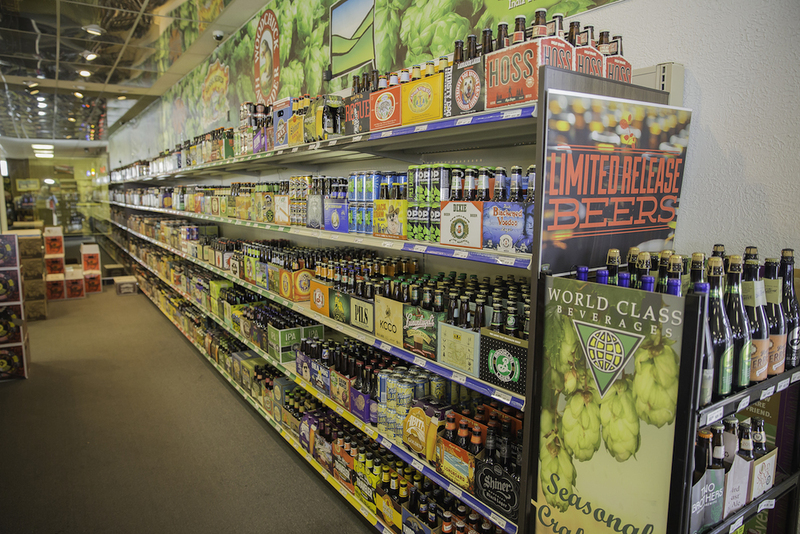 Consumer loyalty has dissipated amidst the sheer variety of new, local, high-quality beer. Larger, older breweries across the nation have seen sales slip. One recent example is Smuttynose Brewing. Opened in 1994 during the first craft beer boom, and one of New England’s largest microbreweries, Smuttynose recently was forced into auction due to ill-timed expansion. In 2014 the company opened a brand-new, $24-million facility, raising annual production capabilities to 75,000 barrels. 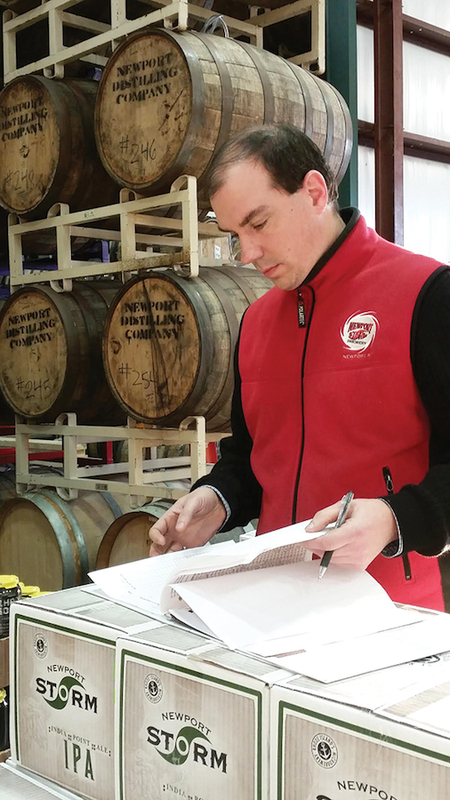 But Smuttynose sales plateaued around 35,000 barrels annually. “The company’s financial models were based on 20 years of consistent growth but the explosion of microbreweries has led to changing dynamics in the marketplace,” says Smuttynose founder and owner Peter Egelston, in a press release. In the Midwest is another example. Founded in 1986, Summit Brewing grew into Minnesota’s second largest brewery. But last year the company cut 10% of its staff, ceased distribution in six states, and reportedly plans to reduce output from 127,500 barrels to about 115,000 — all while Summit refocuses on local markets. “Allow your cash register to be your Untappd,” says Jeff Browning, brewermaster and partner of Brewport in Bridgeport, CT.
With an almost endless variety in craft beer, how will consumers know what they must drink next? As with many decisions now, they’ll consult the internet. Beer-rating websites will inform consumers, as will top bloggers and Instagrammers. “Influencers will have a huge affect, as they start a lot of the word of mouth,” says Davidson. That is why, for instance, consumers in Texas know to text friends in New England about cans of Sip of Sunshine. While rating websites and influencers will help determine what beers are culturally “hot,” they are not as critical to breweries’ bottom lines. To that end, the lowest-rated Brewport beer on Untappd is their Blood Orange Blonde Ale. Now guess Brewport’s top seller. You’re right: it’s that very same easy-drinking blonde ale. The term “craft beer” may soon mean as much as “handcrafted” or “premium” in the alcohol industry. In other words: just about nothing. Overuse threatens to drain this phrase of serious definition. Though a basic meaning will remain. “Craft is still just a word that denotes skill and artistry,” says Hale from Barrel Republic. Hence why “major breweries that grew from humble beginnings are still considered ‘craft’,” he adds, alluding to household names such as Sierra Nevada, Dogfish Head, and Founders. The size of the brewery doesn’t matter as much as the quality of the product. What complicates matters is corporate purchases. Big Beer in recent time has vacuumed up craft breweries across the country. Are these producers still considered craft brewers? According to the The Brewers Association: no, because they are not independently owned. But do corporately controlled breweries still produce “craft beer”? According to their own marketing: yes. So what is it? Are they truly “craft beer”? The answer is unclear. Perhaps the better question is whether this occurs to most consumers. When drinking a Ballast Point IPA, or a Devils Backbone lager, what are the odds the average customer knows or cares that these breweries recently sold to Constellation Brands and Anheuser-Busch, respectively? As long as the craft beer tastes good, most consumers are not bothered by who owns the brewery. As with IPA fatigue, feelings of scorn towards breweries that sold out remains mostly contained within the industry itself. In other words, the term “craft beer” has little protection from corporate interests. Expect to see the term continue to lose meaning in 2018. In its place could rise another word that differentiates between beers made around the corner versus those who share distribution channels with Bud Light. Kyle Swartz is managing editor of Beverage Dynamics magazine. Reach him at kswartz@epgmediallc.com or on Twitter @kswartzz. 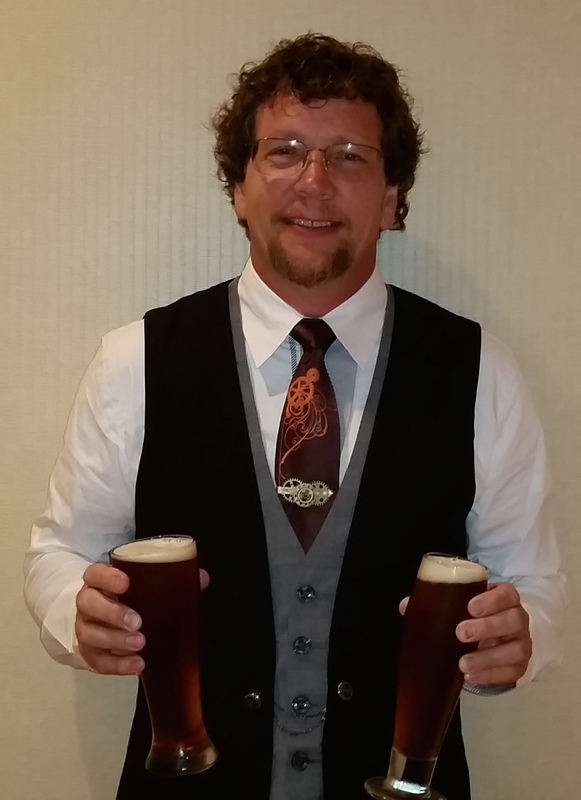 Read his recent piece The Journey of Clown Shoes From Contract Brewer to Corporate Partner.